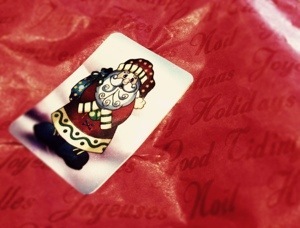 Oh, I love this idea of savoring – of enjoying the beauty of the wrapping, that shiny red and jolly St Nick. My husband is always telling me NOT to take down the holiday decorations as I normally do on New Year’s Day – to let it all last just a little while longer. There is something to be said for that.